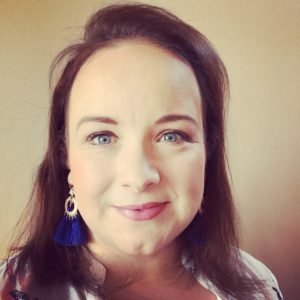 I’m Bláithín, an Irish gal with an American twang [so I’m told] living in Dublin. My Irish name, when translated to English, means Little Flower. I’m in my 30’s, married and live in a quiet coastal town with my darling hubby, James and 3 furbabies; Ivory Luna, Ferdinand Magellan & Sasha Star. I retired from my 14 year career as a Wedding Planner and Business Woman in 2017 to focus on starting a family. If I was to put a label on what I’m doing until that hopefully happens for us Author & Lifestyle Enthusiast will do! I’m working on my third book right now, a [read: fabulous] entertaining book. It’s a passion project and I have notions that it will be in every book shop and every home in the country, nigh the world!…Martha Stewart I’m coming for your crown! This book is called Starlight Suppers and is going to be a delish coffee table book on how to throw dinner parties. I’m going to talk you through the basics, the practicalities, the fun and the planning of how to throw numerous enjoyable dinner parties over the year. I am going to cover topics like who to invite, to how to create an entertaining pantry, to setting the best atmosphere and how to be the perfect host/hostess. In the book I’m going to share with you 12 Themed Dinner Party Ideas – sharing everything with you from the menu, scents, music and dinner party games that I use and much more. Through this blog and my YouTube channel I will share little tasters of what you can expect in the book and there are going to be some pretty cool ‘added extras’ for those on my pre-order mailing list so be sure to sign up! 1. I am a twin; my sibling did not survive the pregnancy. 4. When I was 5 I put my baby brother in the fireplace so that Santa would take him back, he did not; I was disgusted. Thankfully I got over the disgust and now love my brother. 5. I started learning music at 5 and soon [read: after much blood, sweat and tears] became a concert flutist. As a child and teenager I played for many important people in big fancy buildings. 10. 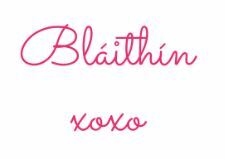 Because of a square inch of land I own in Scotland you can officially call my Lady Bláithín. 11. I was an Interior Designer before I became a Wedding Planner. 12. I’ve been proposed to 7 times. I said yes twice and I’ve been married once to the same wonderful man for 11 years and counting. 14. I’ve planned 1000’s of weddings, which include Royal and Celebrity weddings. 15. I am the daughter of a Knight & Dame. 16. I was born with a tumor that I had removed 33 years later. 17. I was infertile for 35 years. 18. I have 2 daughters in heaven, Riley & Sophia. 19. My biggest fears in life are; the dentist, spiders and that my husband will die before me. 20. I plan to run a bookstore and be the town’s official cat lady in my twilight years; my goal is 50 cats.